Zaffiro is a modern device for non-surgical and painless thermo-lifting for skin on the face and body. A breakthrough in non-invasive facelift, rejuvenation and effective deterrence of aging and removing skin imperfections become possible by the innovative use of IR light. As we get older, the amount of collagen in the skin dramatically decreases. Skin begins to sag, loses its flexibility and becomes more susceptible to gravity. Fine lines and wrinkles become more visible. This process can be stopped and existing wrinkles and imperfections eliminated by treatment performed using Zaffiro. The device emits IR light with specially selected wavelengths (750-1800 nm), which results in a uniform and progressive heating up the deep layers of the dermis to a temperature of 65 ° C with constant, protective surface cooling. Thermal effect occurring in the lower layers of the skin, causes irritation and heating up of the collagen fibers, resulting in the rapid shrinkage of the original length. As a result, the skin becomes thickened and tightened, increases its tone and elasticity, while changing its structure. Wrinkles are smoothed, which can be seen already after a few moments after the start of the treatment. The second and long-term effect is to stimulate fibroblasts to produce new collagen fibers. As a result, the amount of collagen increases by approximately 30%, which gives the effect of increasing the density of the skin and lifting. The process of creating collagen occurs gradually, so the final effect of skin rejuvenation can be seen 3-6 months after surgery. Zaffiro Thermolift is used prophylactically for people between 25-35 years old (1 treatment). A series of treatments for the face is designed for people over 35 years old. A series of body treatments can also be used for younger people, for example women after pregnancy. contours the area above the knees. it improves the skin around the neck and gives a positive results on the appearance of sagging breasts. This procedure eliminates any sagging, improves the shape of the face, lifts drooping cheeks, eliminates nasal-labial wrinkles, visibly improves tone and elasticity of the skin. Zaffiro treatments help to maintain breast in a desired shape. Instantly, painlessly and effectively firm the skin and sculpt the shape of the breast. Thermolifting Zaffiro improves skin around the neck and has a positive effect on the appearance of sagging breasts with age. 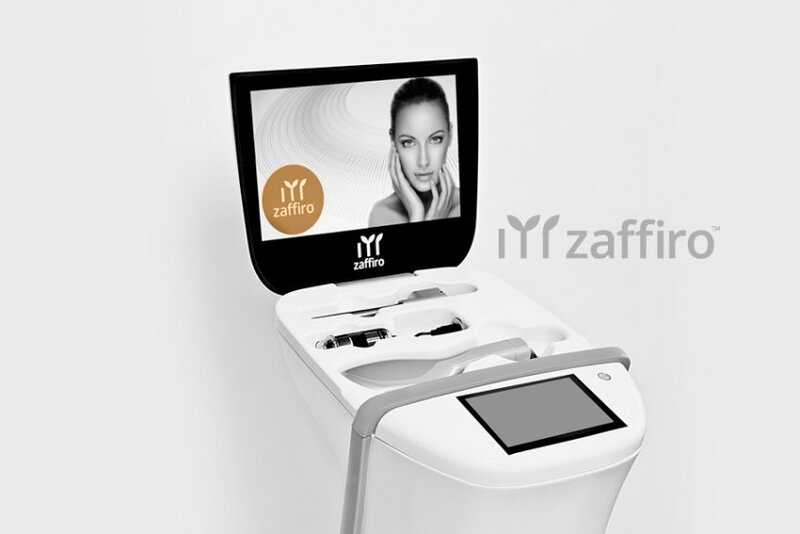 Zaffiro treatment removes saggy skin in the inner part of the arms. Zaffiro treatment gives an excellent effect of shrinking the skin for women after childbirth and person after a weight loss. Zaffiro helps to raise and lift the buttocks. Zaffiro treatment removes saggy skin in the inner parts of thighs. Zaffiro treatment gives an amazing results of firming the skin and contouring the area above the knees.